41 Day 251 – If I Could Look Upon This Scene. 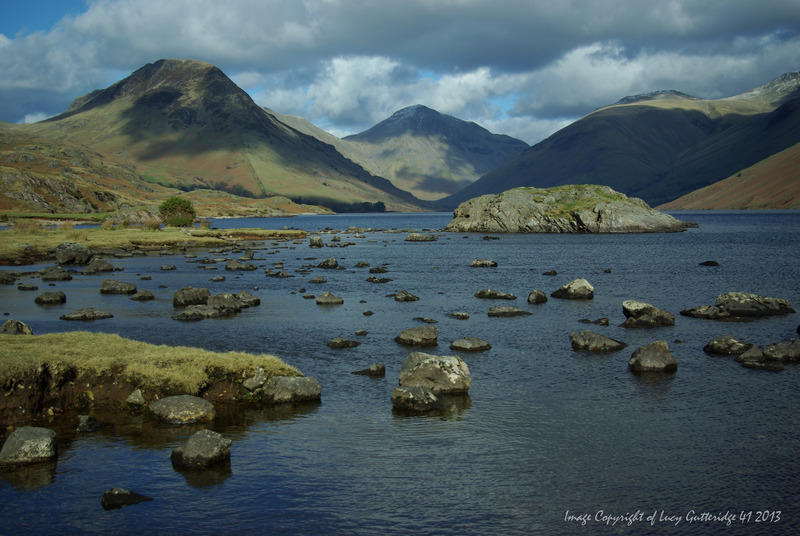 This entry was posted in Uncategorized and tagged Cumbria, Great Gable, Kirk Fell, lake district, National Trust for Places of Historic Interest or Natural Beauty, Red Pike, Scafell Pike, Wast Water on May 25, 2013 by cottageholidaygroup. A charity that owns and manages large swathes of the Lake District will benefit from a mountain festival in the area. Keswick Mountain Festival announced the National Trust as its official charity partner for the 2013 event. Organisers of the May festival said during the lead up to the festival and throughout the event, visitors will be encouraged to make donations to the trust. The site of the festival village is on National Trust land in Crow Park and the trust will have a strong presence there during the event, offering information about its work and sites, and fundraising. In addition, a percentage of sales from the KMF Buff, designed by local schoolgirl Rosie Walker, will be donated to the National Trust. Lucy Scrase, festival director, said: “Keswick Mountain Festival is a celebration of the outdoors, here in the Lake District and throughout the UK. “Many of the most popular destinations in our country are on National Trust land and we are keen to support the trust’s efforts to take care of that land and continue to enable the public to visit and enjoy the amazing landscapes we have in the UK. Mike Innerdale, the trust’s assistant director for Cumbria and Lake District, said: “Keswick Mountain Festival shares many of the National Trust’s values: we both want to see families enjoying their time in the outdoors. Now in its seventh year, Keswick Mountain Festival will run from 15 to 19 May. via grough — Keswick Mountain Festival teams up to help National Trust. This entry was posted in Contact, cottage holiday group, Cottages, Events, holidays, keswick, keswick Lake District, Lake District, Lake District Cottages, latest, News, self catering, self catering holidays, update and tagged Cumbria, England, Keswick Mountain Festival, Lake, lake district, National Trust, National Trust for Places of Historic Interest or Natural Beauty, Travel and Tourism on April 10, 2013 by cottageholidaygroup.